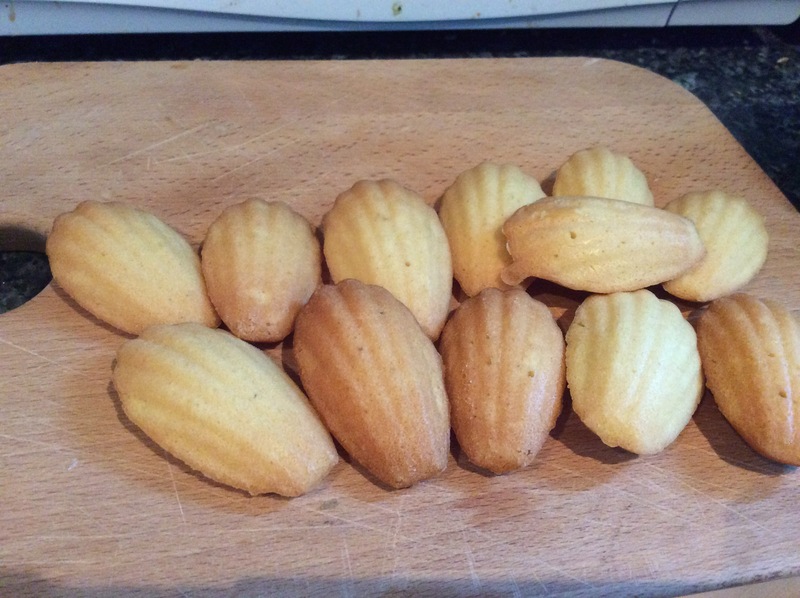 Madeleines are one of my all time favourite foods. They always bring back memories of travelling in France with my family. A super-big bag of madeleines from the local supermarket was a cheap and very effective way of keeping me and my sisters quiet in the back seat of the car all afternoon! I’ve wanted to try and make them for ages but haven’t been able to find a madeleine tin that wasn’t silicone. Today I was shopping in Chatham Outlet store and finally found one! It was a holy-grail style moment and I couldn’t wait to get home and give it a go! They were super-easy to make, pretty much like making a normal cake and I even swapped out some of the ingredients to make it dairy-free! Instead of eggs I used Orgran No Egg Egg replacer, a box of it was £3.19 in Holland and Barrett and the box makes up to the equivalent of 66 eggs – so I have a feeling I’ll be using it for a while! It was great because it doesn’t change to taste or consistancy of the mixture at all. All you do is mix 1 teaspoon of No Egg with 2 tablespoons of water and that is equivalent to one whole egg! Magic. Preheat the Oven to 190 degrees Celcius. Crutial step – don’t put these in a nearly-hot oven or they’ll be tough! Make up the No Egg in your mixing bowl and add in the Vanilla extract. A couple of tablespoons at a time start sifting in the icing sugar and fold it into the egg mixture. Keep sifting and stiring until you have used up all the icing sugar and you are left with a thick-ish silky mixture. In a separate bowl mix the flour and baking powder together. Start sifting the flour/baking powder into your egg mixture and fold it in. I found this easier to do it a bit at a time (about a forth of the flour each time), making sure the flour was completely stirred in before adding the next bit to stop lumps forming. Now slowly add your chosen melted and cooled spread. About half at a time is fine just keep stirring until it all comes together. 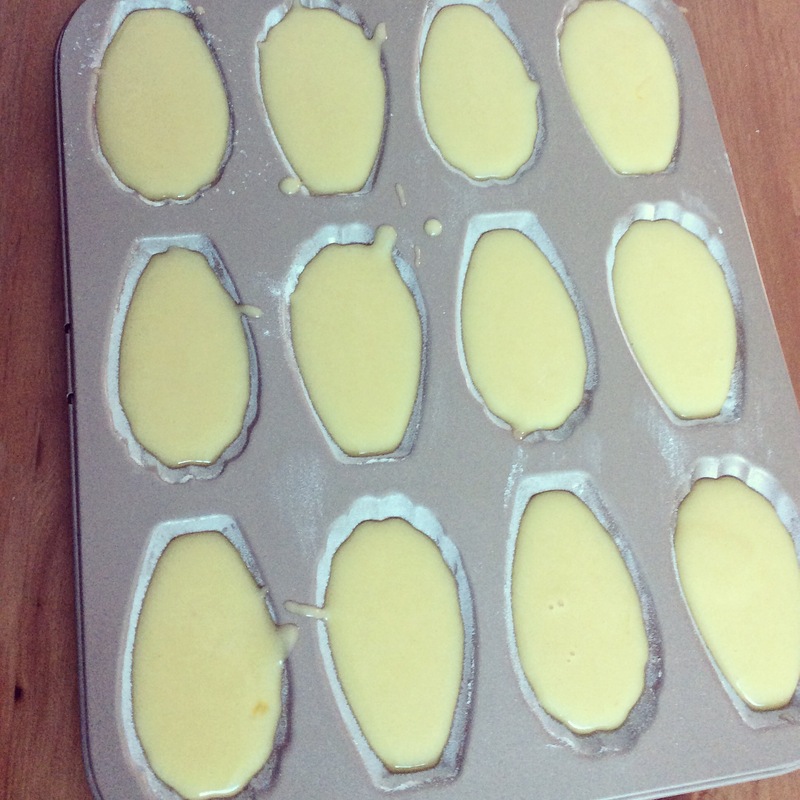 Grease and flour your madeleine tray and then fill each indent with the mixture until it’s about 3/4 full. Bake in the oven for 10-12 minutes until they are springy on top and golden around the edges. When they are cooked leave them to cool in the tray for 1 minute, then loosen them with a knife and turn them out onto a wire rack.